Hallo! How goes it? I spent pretty much all of today, holed in my study with the portable air conditioner, and animating and drawing. Got a lot of stuff done with work today. I am going to spend the rest of the day drawing some Gouldian Finches. See if I can submit it tonight for the 52 week illustration theme. 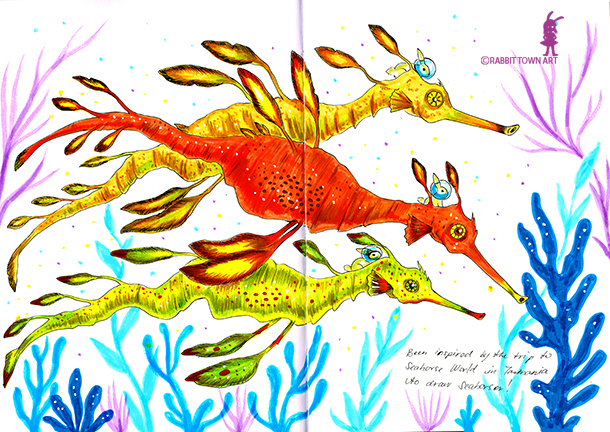 This drawing was inspired by my trip to Seahorse World, with Rob, in Tasmania!